We have the joy of having 4 barbets in the house (ours + TumTum and Oscar) and a bonus labradoodle (Mus)! Friends are on vacation and we are not! So we open the house for these darlings. But Bart and I still like to eat out sometimes, and we don't like to leave the dogs at home. 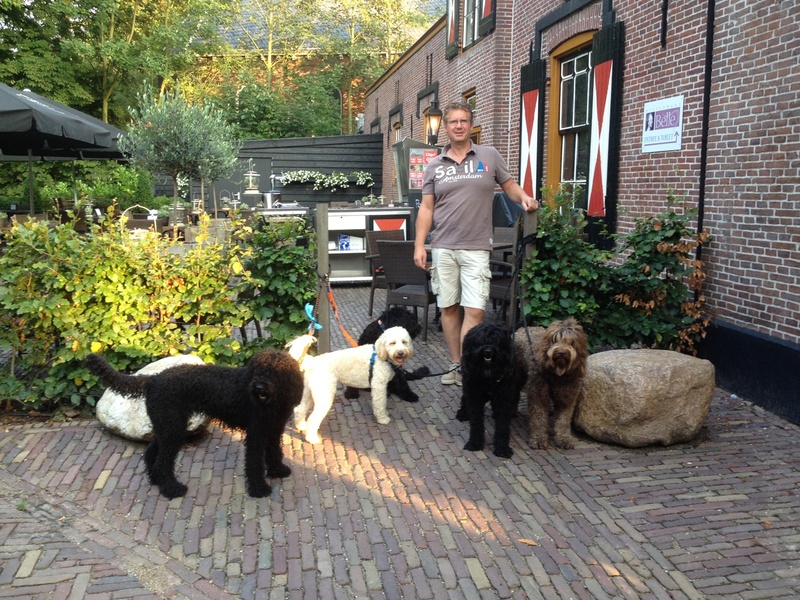 So we took them along to a favourite restaurant last night - Belle van Zuilen, in Oud Zuilen. No problem, you can sit in this corner, was the friendly answer from the staff when I carefully asked if it was possible to bring 'a few' dogs. They were admired by many and behaved perfectly!